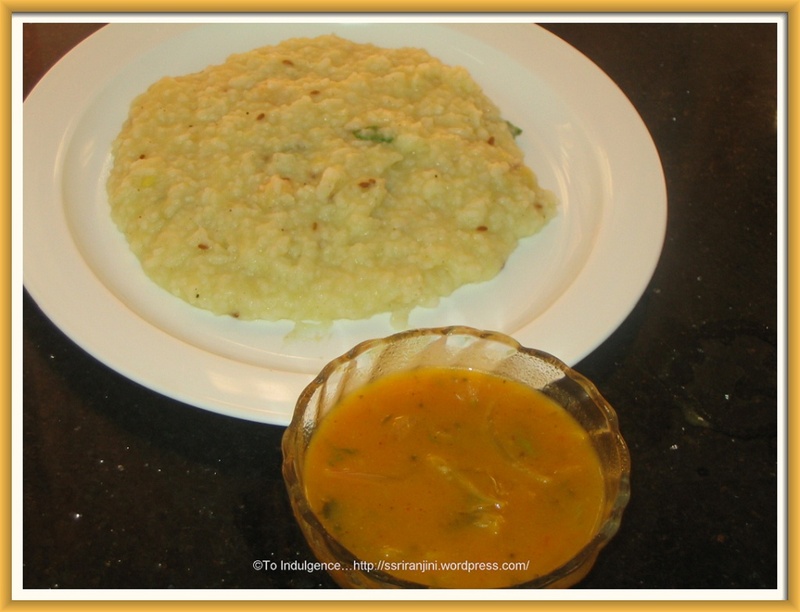 Ven Pongal is a popular dish in South Indian homes and is typically served as a breakfast. 2. Heat 1 tsp oil in a pan and fry the black peppercorns till they start spluttering. Add to the rice mixture. 3. Add the Jeera, curry leaves and asafoetida to the rice mixture and cook till well done. Be careful that the mixture does not harden; add water, if required. 4. Add the remaining oil and ghee, and the fried cashew nuts. Mix and remove. 5. Serve hot with Coconut chutney or Vengaya Gothsu. Grind the black pepper and jeera, fry it in 1 tsp of ghee; add it to the rice mixture. Ven pongal looks very inviting 🙂 Pongal with gothsu is a super combo!